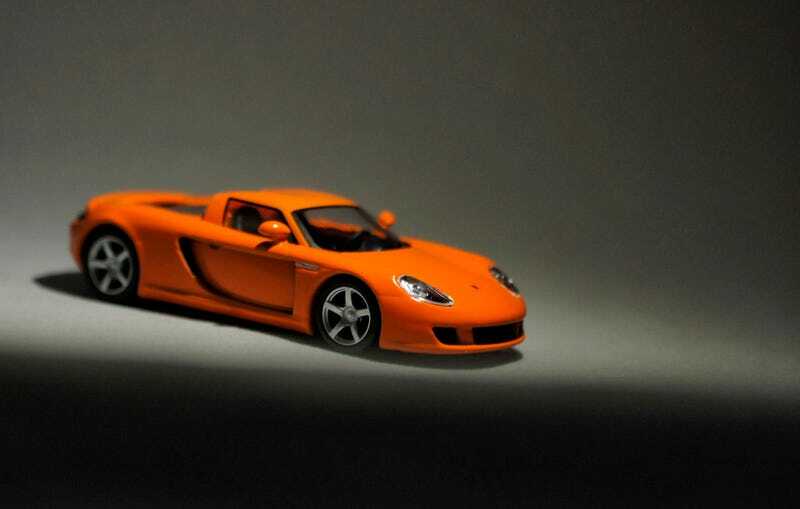 I’m not the first showing the Carrera GT from Kyosho in 1/64. Maybe not even the second, check this great post with outstanding pictures for example. But I’ll have to post it eventually so after a glorious week it’s an excellent opportunity to get our regular schedule going. No need to tell much on the Carrera GT. It’s one of the last true supercars to me. Insane engine, not helped by electric power or turbos. Just old fashioned N/A V10. A killer as well so we all know. And orange suits it... Amazingly well. The Kyosho is a very decent model of it, despite it being a tiny 1/64 there’s little I dislike about it’s details. Maybe it’s headlights don’t fit enough but that really would be nitpicking. Badge up front, script on the rear, all is there. Great wheels. More than decent bonnet. No opening roof. No actual mirrors in the mirrors. It’s a 1/64! So for today I’ll let the pictures do the talking. And that’s it for today. I might need me to get some more Tuetonic stuff.